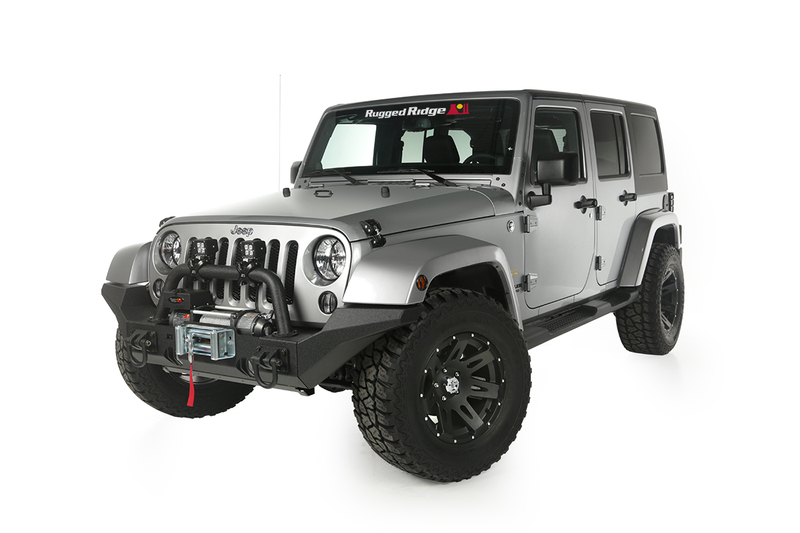 Suwanee, Ga. (July 2, 2014) – Rugged Ridge®, a leading manufacturer of high-quality Jeep accessories today announced the availability of 10 new Jeep® restyling packages for ’07-’14 Wrangler’s. Each of these packages groups common sets of accessories into easy to order kits for the dealer, jobber and upfitter; providing everything needed to transform an ordinary, stock Jeep into an attractive, off-road capable, vehicle that stands out among the rest. Ranging from mild to wild, each of the 10 packages allows owners to create their dream “take-me-anywhere” Jeep outfitted with the most cutting edge parts and accessories available on the market today.Merging style, performance, and convenience into an all-in-one-package, Rugged Ridge’s restyling packages serve as one-stop-shops allowing store owners simple options for their customers looking for something different, or the Jeep dealer looking to pre-load inventory. Each of the packages combines a variety of products from the Rugged Ridge catalog ranging from wheels, lift kits, modular snorkels, bumpers and recovery winches, transforming the Jeep into a lean, mean, trailblazing machine. 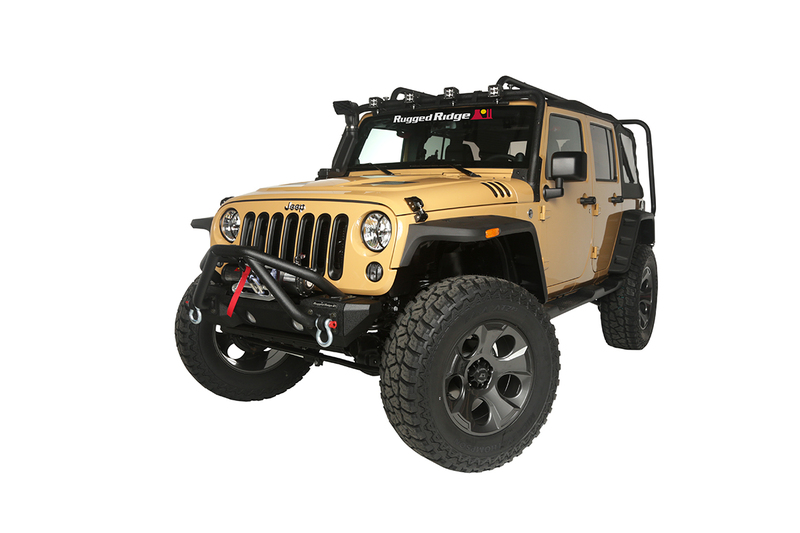 For more information on each of the exclusive Jeep build packages offered by Rugged Ridge, the company’s complete line of high-quality Jeep and off-road products, or to find an approved retailer, please contact Rugged Ridge at (770) 614-6101 or visit its website at www.RuggedRidge.com. Omix-ADA®, Inc. is one of the world’s largest independent manufacturers and wholesaler of Jeep®, truck and off-road parts, accessories and floor liners. For more than two decades, Omix-ADA has designed, tested, manufactured or distributed more than 16,000 of the highest quality restoration and replacement parts and accessories. The Omix-ADA family of brands, Rugged Ridge®, Alloy USA®, Outland Automotive® and Precision Gear® are distributed throughout the USA and in more than 70 countries worldwide. For more information, please call Omix-ADA, headquartered in Suwanee, GA at 770-614-6101 or visit www.omix-ada.com.